Do you remember every virus you’ve ever battled in your life? Of course not, right? Now a new technology developed by Howard Hughes Medical Institute (HHMI) researchers can use a single drop of a person’s blood and find out current and past infections with any known human virus. Until now, testing had to be done for specific viruses one at a time. Now, this method called VirScan, provides and efficient alternative. Isn’t that just amazing? I had once written about a gene scan in one of my books and thought of it as only possible in a future far from now. Guess not. We are getting there fast. The test costs about $25 per blood sample. Quite affordable as well. 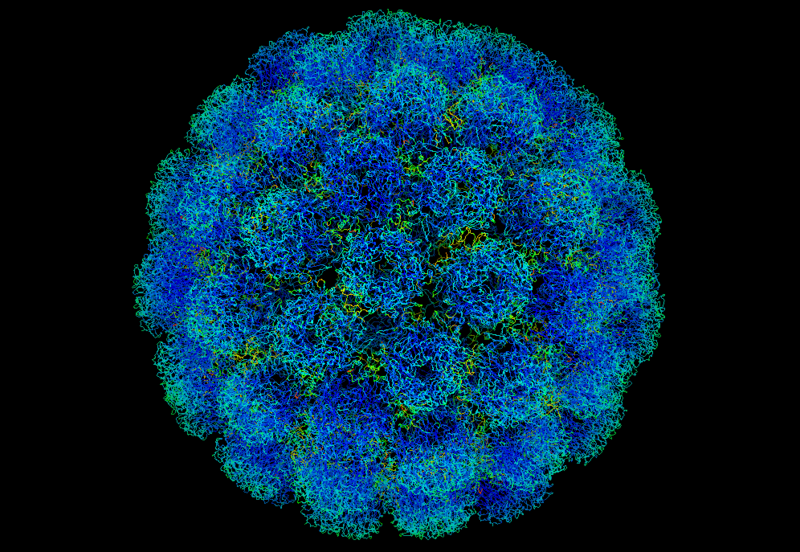 Systematic viral epitope scanning (VirScan). This method allows comprehensive analysis of antiviral antibodies in human sera. VirScan combines DNA microarray synthesis and bacteriophage display to create a uniform, synthetic representation of peptide epitopes comprising the human virome. Immunoprecipitation and high-throughput DNA sequencing reveal the peptides recognized by antibodies in the sample. The color of each cell in the heatmap depicts the relative number of antigenic epitopes detected for a virus (rows) in each sample (columns). Credit: Figure from the print summary of Xu et al., “Comprehensive serological profiling of human populations using a synthetic human virome” SCIENCE, 348:1105 (5 June 2015). To check for a particular virus, researchers check the reaction of antibodies in the patient’s blood to molecules with the virus’ molecular signature. In the past, researchers could only test a sample for reactions of one type of antibody at a time. But now, thanks to Next Generation genetic sequencing, researchers using VirScan to look for hundreds of antibody reactions at once. It’s like a magical looking glass that can read our past. Fascinating, isn’t it? Link to the full article, here.